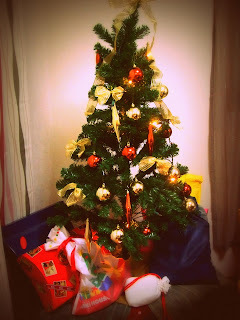 Merry Merry Christmas.. Well its still Christmas Holidays til the end of December. I hope you were able to spend time with your family and friends. 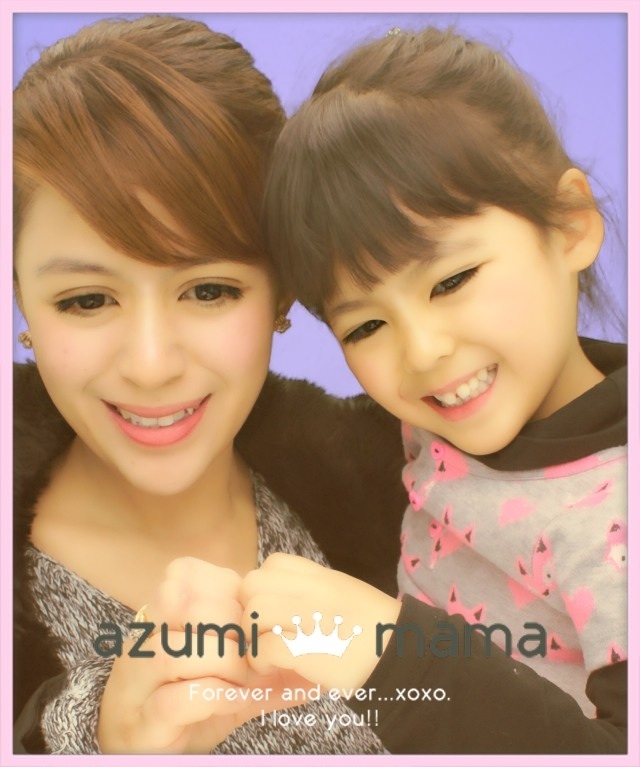 Anzu and I together with my Mom went to a Christmas Party on the 23rd. We had an awesome and peaceful celebration during the Christmas Eve. And went to an Illumination Park on the Christmas Day. Sure Anzu had so much fun with her equally hyper cousin Ryukun.. I can't even take a decent photos of them because they were running around and shouting. Take a peek and enjoy our simple Celebration. Just to let you know, Ill be back to my normal blogging and bloghopping routine after New Year.. the clutters are still waiting for me to declutter them off. Regardless, I hope you all are enjoying this holiday season and finding lots of time to slow down, relax and sit back with your dear loveones ! New Year will be on its way this week. Be reminded of the many blessings in your life. Well, I have... I have much things to be thankful for ! Wow, napakaganda nang video mo. Sumasabay pa sa beat nang kanta yung pagpalit ng litrato, lol. Tuwang tuwa nga si Baby Azumi sa kalaro niya. Nasa age na siya na talagang nakakapag interact na. Ang ganda nga nung Christmas illumination dyan sa Japan, very colorful. Buti naman at very meaningful ang Christmas celebration nyo dyan. You are truly blessed Bambie because you have a very grateful and kind heart. Kita naman yung sa pagiging thoughtful mo sa mga friends mo. Thank you so much sa very colorful and upbeat post mo. God bless you all always. Saya ng xmas ninyo sis, I enjoyed watching the the slides with all your happy christmas pics. Pareho tayo dito double clutter ang araw walang katapusang declutter ang buhay hehe, pero like you said, its tiring but worth it. Merry Christmas you and your bambie. Merry Christmas to you and your family, Bambie! Christmas even extends until end January.. Merry Christmas to you and your family! Tapos na ba decluterring natin dyan hehehe.. Kami maguumpisa pa lang hehehe, lipat kami sa house namin sa 31st.. I love your slide Bams! Oh.. likewise sis Bambie. I have work until Dec 29 plus a birthday invite.. plus fixing our room. Decluterring is the in word, bago pumasok ang 2010.
magandang christmas tree.....advance happy new year sa iyo..
btw, I have a new blog and I have added you there, hope you can add me too if link ex is okay with u. Thanks! thanks for sharing the slideshow....glad to be here...salamat sa dalaw dear ha...kisses! sis Advance Happy new Year to you and your Family in Japan:-) i luv your red outfit xmas na xmas ang dating! wow! have a bountiful new year too! Have a very Happy New Year! How is Japan today? I heard that there is an earthquake in your neck of the woods. I'm curious if it's true.